Security innovator IndigoVision is set to introduce a range of new features that will lead to faster security investigations and drive down industry storage costs as part of its presence at ISC West 2019 in Las Vegas. Trusted in installations across the world, and with 25 years of experience in developing complete end-to-end security surveillance solutions, IndigoVision’s latest innovations will be unveiled as part of an array of new features being introduced to Control Center, its intuitive Security Management Solution. Focusing on advanced analytics, cyber-security and ease of use, Control Center v16.0 will offer operators a powerful new line-up of features to help combat security threats. 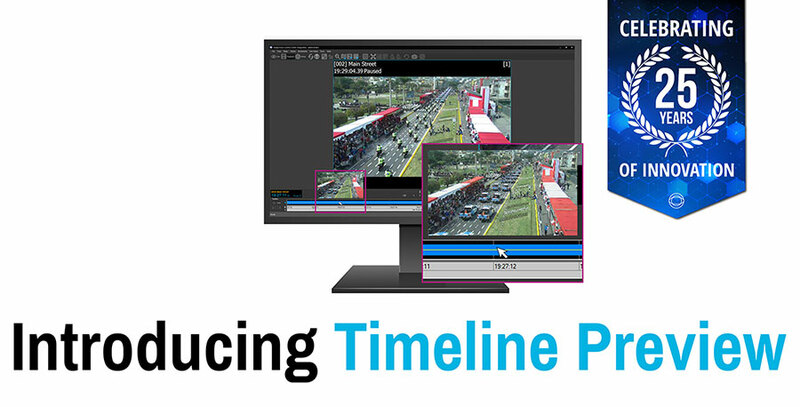 Faster security investigations – users will be able to save time and instantly zero in on specific events with the introduction of timeline preview, which provides a thumbnail of the recorded video timeline. Lower storage costs – users will benefit from improved compression and longer retention times thanks to Control Center’s support for the latest video compression standard, H.265. Reduced eyestrain for users – Control Center v16.0 now adds to its core grey/white view with a new Dark Mode, which has been specifically designed to reduce eyestrain in darker control room environments. Appearing at booth 23031 from 10th to the 12th April, IndigoVision will add to its Ultra and BX camera ranges with the introduction of an exciting new line-up which offers users multiple form factors, low light sensitivity, augmented analytics and wide dynamic range (WDR) giving operators improved image clarity. The new HD Ultra X Cameras will deliver enhanced performance through the company’s ground breaking SMART.core™ and CyberVigilant® in-camera technology which give users the ability to detect and respond quickly to potential cyber-threats. NDAA compliance also means these cameras are pre-approved for installation in government sites within the United States and other areas of the world where this legislation has been adopted. Operators will also be able to access next level detection and cyber-security with IndigoVision further expanding its advanced Analytics Metadata and its award-winning CyberVigilant® technology to select cameras from its BX Camera range. The BX420 4K Minidome, BX430 4MP Microdome and BX630 HD/4K Bullet and Fixed Cameras will now have an enhanced intruder detection enabling Control Center to safeguard against an increased range of threats. For more information about this launch and the rest of IndigoVision’s end-to-end security solution please arrange a meeting with an IndigoVision expert now.